Stories Travel! As a storyteller I'm delighted they did. The collection by G. Djurklo and translated by H.L. 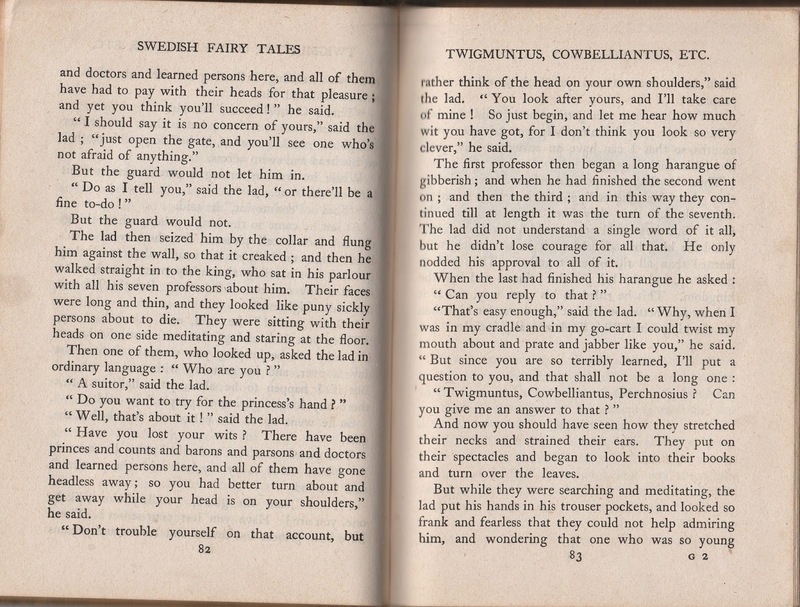 Braekstad called Fairy Tales from the Swedish has many stories showing such traveling, but do you recognize "Twigmuntus, Cowbelliantus, Perchnosius" as originating anywhere else? I recognized a tale that took its idea . . . more on that after the story. 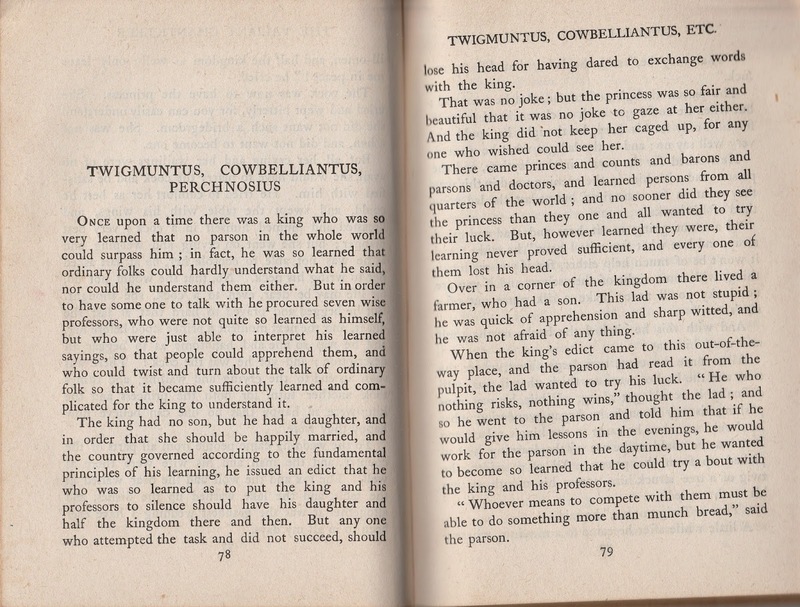 First I hope you enjoy "Twigmuntus, Cowbelliantus, Perchnosius" at least as much as that strange title! So did you recognize another story using this same idea? 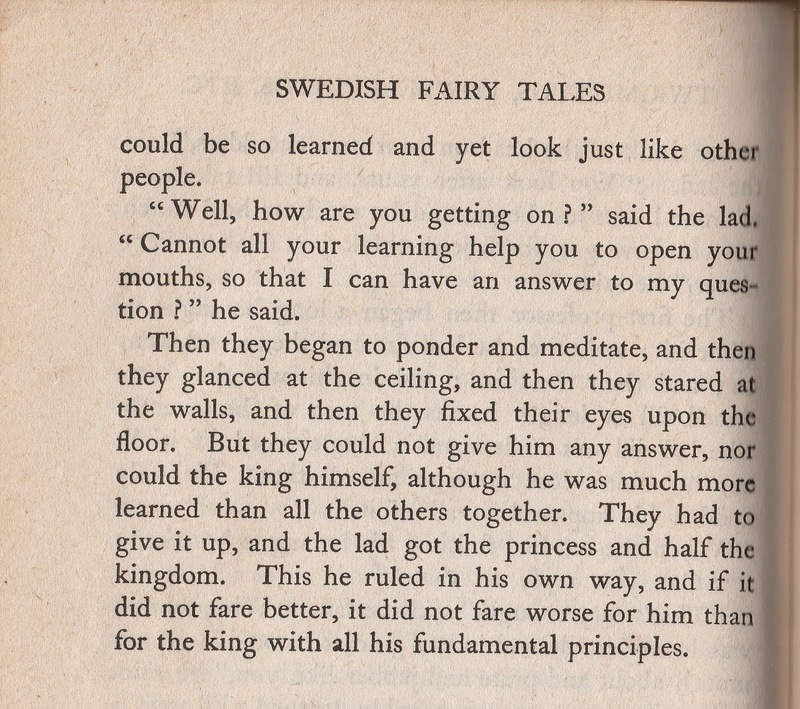 If you want to see more Fairy Tales from the Swedish it's online. I had great fun looking to see how many of those stories were ones I recognized in other versions. Now for the answer: If you love that "Great Dane", Hans Christian Andersen you may recognize "Hans Clodhopper"! There are many translations of Andersen and the tale of "Hans Clodhopper" is one of my favorites. Is it the same? DUNBERIDICULOUS! 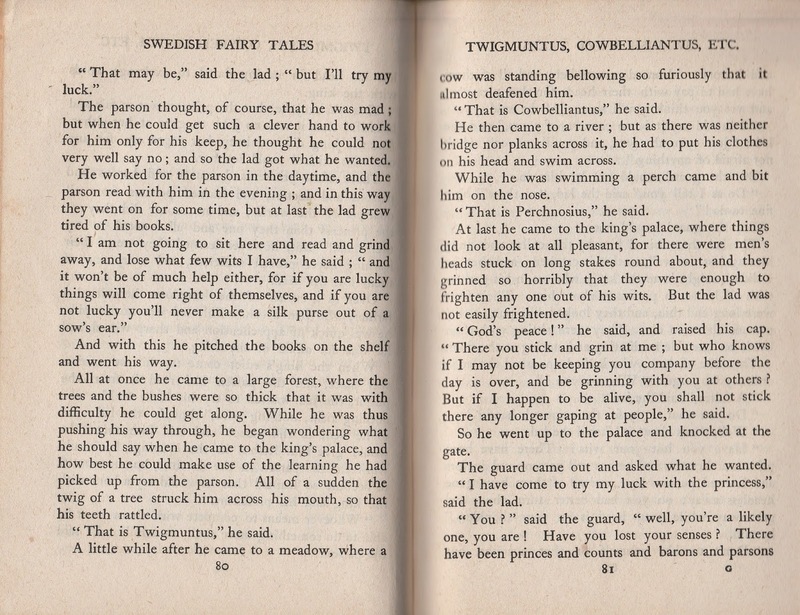 Andersen is not usually placed in the folktale section, but you can trace many of his tales to his obvious love of folklore. Speaking of folklore and stories that have traveled or been around a long time . . .